Silver Recruit Paladin has been pushed by the devs for quite some time with supporting cards, pre-built decks in the Collection Manager but the archetype never quite saw any play until the recent nerf patch. Murloc Paladin has been the prime Paladin deck for the most part in the recent metas, but with the recent nerf patch Dude Paladin has been seeing lots of play at high ranks and for good reason. The deck isn’t particularly high on burst damage how something like Secret / Burn Mage would be with the exception of Sunkeeper Tarim on a big board or level up. Instead, the deck relies on sticking minions and allowing recurring damage to go through over several turns. Even if your board is wiped out you have several means of refilling your board and keep pushing in chip damage. This decklist is by Cocosasa who hit #17 Legend with it this season. 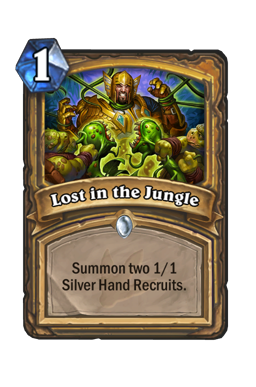 Lost in the Jungle : A card that allows you to throw in dudes on the board and has synergy with a ton of cards like buff or interact with your minions on board and also adds to the Silver Hand Recruit synergy in the deck. 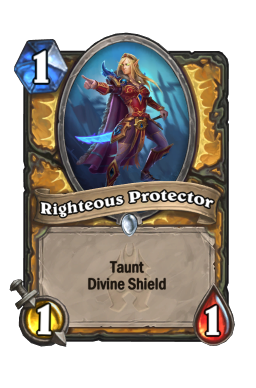 Righteous Protector : One of the most annoying one drops that soaks in two good trades quite often against your opponent and protects your other minions or prevents incoming face damage. 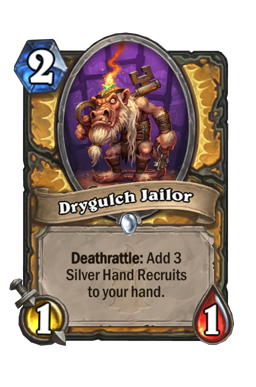 Drygulch Jailor : This card allows you to refill your board with Silver Hand Recruits and also has synergy with things like Knife Juggler. 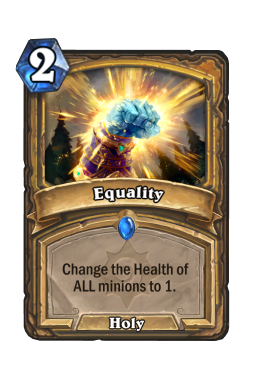 Equality : Equality allows you to contest your opponent’s board if it gets out of hand and with so much board spam you will always have minions to trade with to wipe out their big threats. 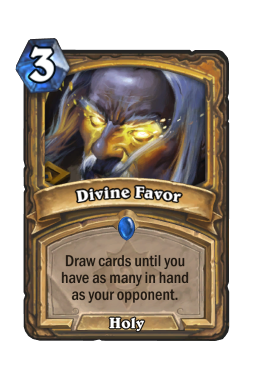 Divine Favor : One of the strongest cards in aggressive decks and with so many greedy Warlock decks floating around, you can expect to get serious value out of this card. Against aggressive decks it fails to do much, and you should not be holding onto it for too long in faster matchups and squeeze in whatever value you get out of the card. 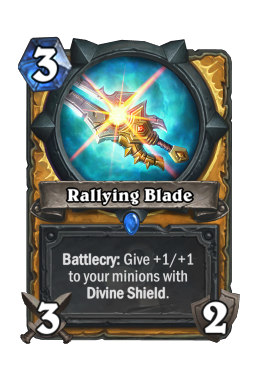 Rallying Blade : A very aggressive 3-cost weapon that allows you to buff up any Divine Shield targets and swing away at your opponent’s face or trade off minions to maintain board presence. 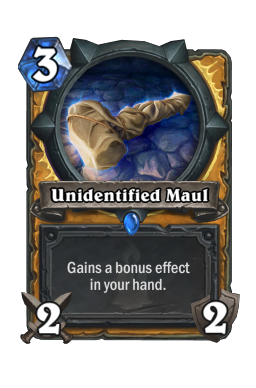 Unidentified Maul : A card that has great random outcomes. Aside the Taunt effect that can be only situationally good, the other random effects are very good for a token deck. Call to Arms : One of the problems that held back Paladin as a class that can play aggro decks was consistency. Once you lost your board presence you would not have means of getting back into the game aside Divine Favor, a card that doesn’t even produce satisfactory results most of the time against aggressive decks. 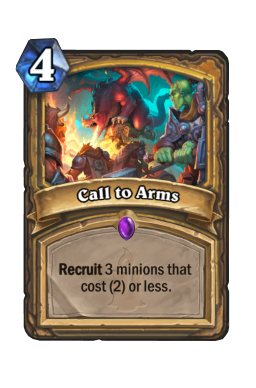 With Call To Arms, you have deck thinning, card draw and board refill all packed into one card. 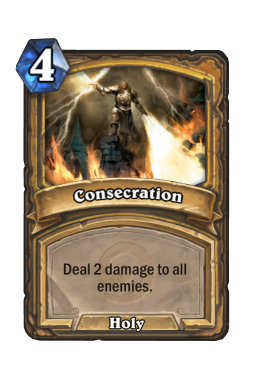 Consecration : You can either use it with Equality to wipe your opponent’s side of the board, or simply use it to clear off low health minions. It is particularly good in the mirror matchup. 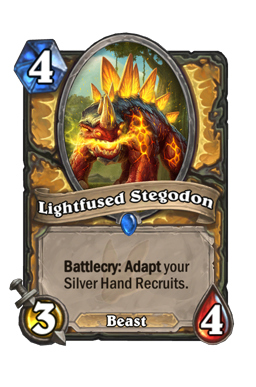 Lightfused Stegodon : A great card to have in any Recruit/Dude Paladin deck. It can allow you to get crazy swing turns. From getting Poisonous to wipe out board efficiently to getting Attack buffs for pushing lethal damage, it is a very flexible and powerful card that you must have in your Paladin deck. Level up: We run only one copy of this card for pushing burst damage and it is a great finisher card and it can also be used defensively to prevent your opponent from pushing face damage with minions. 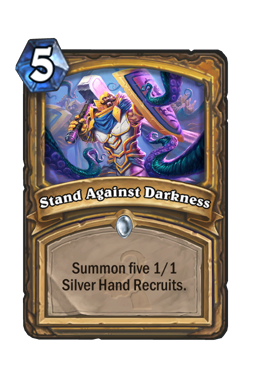 stand against darkness : From being a card that saw almost no play to being one of the strongest cards in the deck thanks to cards like Lightfused Stegodon, Crystal Lion and Sunkeeper Tarim. 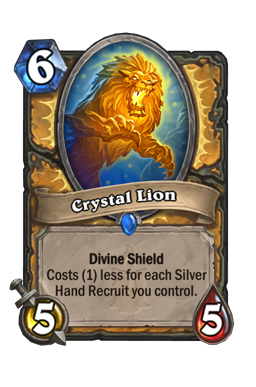 Crystal Lion : A pesky minion to deal with it and it is a particularly strong card in the current meta with not that many ping-based hero power classes being popular right now aside Mage. Sunkeeper Tarim : It is one of the strongest legendaries in the game right now and it can allow you to burst down your opponent by buffing your minions or simply allowing you to ‘equalize’ the board by shutting down big enemy minions and allowing you to take them out with your tokens. 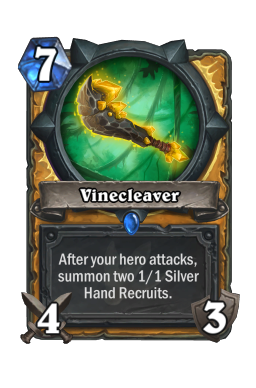 Vinecleaver : A great card that can push a lot of damage or control the board while also adding Silver Hand Recruits to the board. 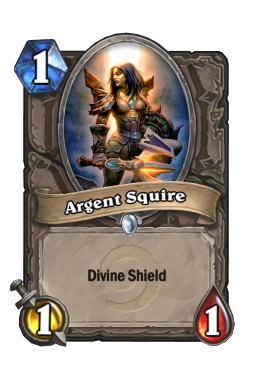 Argent Squire : A solid turn 1 play that has synergy with cards like Dire Wolf Alpha and Rallying Blade. 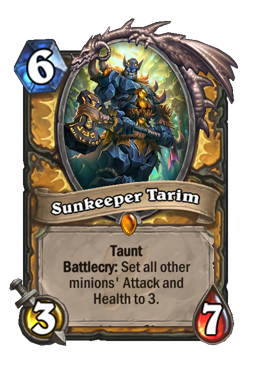 It is also a good card to get buffed by Sunkeeper Tarim as you can get a free trade off of the card. 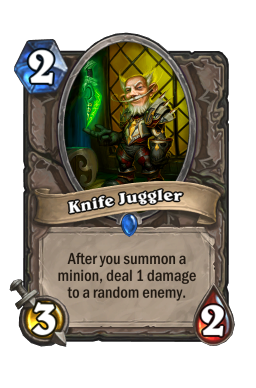 Knife Juggler : Despite nerfs to the card in the past, it makes it into token heavy decks quite often due to its effect. With plenty of board spam options, you can get decent value out of the card. 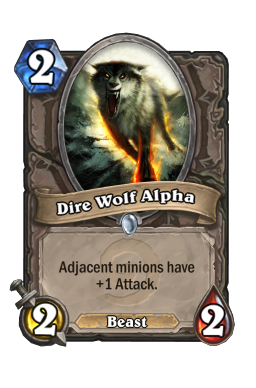 Dire Wolf Alpha : A great card to play in token decks as you can get a lot of attack value addition to the board. It allows you to get better trades off with your minions quite consistently in matchups. “Dude” Paladin is quite a formidable deck and a great alternative to playing Murloc Paladin. It relies on generating tokens on board and putting in chip damage every turn unlike Murloc Paladin that runs out of steam if your board is wiped. You have various means of refilling your board and sticking threats like Crystal Lions for cheap. It is a fairly new deck (this variant of the list at least) and you should definitely give it a shot for some last minute grinding this season.